After a century of relative peace, the Avatar of Virtue is summoned back to the medieval kingdom of Britannia to deal with a new threat: the usurper Lord Blackthorn, a formerly honorable nobleman who has been corrupted by strange new creatures called the Shadowlords. After the recent disappearance of the true king, Lord British, the realm has fallen under martial law. Blackthorn now rules the land by brutally enforcing the eight Virtues upon the people of Britannia - corrupting their meaning in the process. The Avatar must gather together his former companions, now made outlaws by Blackthorn's regime, and venture forth to defeat the vile Shadowlords and recover the true king from the shadowy depths of the Underworld. 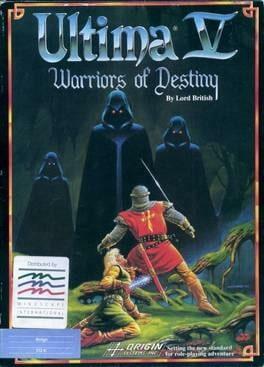 Ultima V: Warriors of Destiny is available from 4.99 to 4.99 from 1 shops.